Despite advances in streaming technology over the years, watching the Olympics on anything but a TV with a cable subscription is still a hassle. Read on as we show you how to get your Olympics fix without resorting to signing up for a cable plan. So why is watching the Olympics such a challenge? Because wherever you are in the world, somebody usually has the exclusive rights to broadcast the Olympics in your region, and how flexible that arrangement might be is highly dependent on both agreements with the individual companies the rights-holding network deals with and the Olympic organization. Historically, this has been a huge pain for people who wanted to watch the coverage via streaming services, since any streaming options used by NBC were either only partial coverage, delayed by hours from the actual event, or both. In 2016, however, the NBC broadcast and streaming was in sync for the first time in history, and 2018 will be the same. But wait! You’re not in the free and clear. Despite NBC finally getting their streaming game up to 21st century standards, you still only get access to the live streams (in a web browser or via the NBC streaming apps) if you have subscriber credentials from a cable or satellite provider. Comcast, a cable company, owns NBC, so this is unlikely to change anytime soon. If you do have a cable or satellite subscription (or you can borrow login credentials from a sympathetic friend or relative) you can watch real-time Olympic coverage on NBCOlympics.com, the official NBC Sports streaming app for your Android, iOS, or Windows phone device, or by downloading the NBC Sports app on your Apple TV, Android TV, or Roku box. Realistically speaking, however, you’re probably here because you’re one of the millions of cord cutters who found the one thing they actually want to watch live. So what are you supposed to do if you want to watch the Olympics without signing up for a cable plan? Let’s take a look at your options for getting your Olympics fix for free. If you’ve been living off a steady diet of Netflix and other streaming services, there’s a good chance that you’ve totally tuned out of the real time broadcast television market altogether. Now, however, is a great time to tune back in as you’ll be able to get HD quality Olympic coverage for free thanks to your local NBC affiliate’s over-the-air-broadcasts. All you need is your television, a good television antenna, and a little patience to adjust the antenna for optimum reception. In fact, if you live in an old house or apartment that has an old fashioned aerial antenna strapped to the chimney (or the like), you’re in a great position to pick up a distance HDTV channels with next to no effort as you’ve already got a quality antenna on site. If you really want to geek out, you can build your own DVR to record the Olympics, then remove the commercials automatically. While you won’t get every single minute of the Olympic coverage this way (because some is broadcast from NBC sister cable stations, like USA, and other events aren’t broadcast anywhere but online), you will get the opening and closing ceremonies as well as all the major events over the course of the month the Olympics is underway. NBC’s broadcasts can often feel more like a reality TV show than a sports broadcast, with a half hour documentary about a particular participant followed by a few minutes of actual sport. And very few events are broadcast live, with NBC preferring to stick the premier events in prime time slots regardless of when they actually happen. But even with these flaws, an HD antenna gives you the best picture possible without costing you a dime. For more information about using an antenna to pull in over-the-air broadcasts, check out our full guide here. You don’t need cable to watch cable stations in 2018: there are a variety of “over the top” services that let you watch cable TV stations online for a fraction of the price. In many cases the cheapest option will give you access to most of the channels you need for the Olympics and access to the NBC Sports app described above. Even better: there are no contracts, so you can cancel these services when the Olympics are over. NBC broadcasts most of the big events on its network TV station, broadcasts something from the Olympics pretty much constantly on NBCSN, and occasionally pads out its broadcasts on a few other stations it owns: USA Network, CNBC, and NBCSN. Access to all of these channels will let you watch pretty much whatever you want, and with most services you can pad things out with the NBC Sports app. Here’s a list of services that offer these channels, along with the price for the cheapest package that offers them. RELATED: What Is Sling TV, and Can It Replace Your Cable Subscription? Sling TV, which works well on most platforms, charges $25 a month for the “Blue” package, which includes NBC, NBCSN, and USA. CNBC and MSNBC are part of the $5/month “News Extra” add-on, and events will be broadcast there occasionally. Sling TV also gives you access to the NBC Sports app, so you can watch most anything on there. Playstation Vue, which works great for Playstation owners, charges $30 a month for the “Access Slim” package, which includes all relevant national NBC channels. Playstation Vue does not give you access to the NBC Sports app. YouTubeTV costs $35 a month, and includes all relevant NBC channels. It also gives you access to the NBC Sports app. Hulu TV costs $40 a month, and includes all relevant national NBC channels. It also gives you access to the NBC Sports app. The best bang for your buck here is probably Sling TV, but most of these services will do the job. If you want to watch all the Olympics, this is probably your best option, because the next one is a lot more technical. If you’re not into signing back up for a cable plan, bugging your uncle for his DirectTV login, or putting up an antenna to watch over-the-air broadcasts, then where does that leave you? It leaves you in a position where you need to border hop, digitally speaking, to a land with less restrictive Olympic viewing. While U.S. Olympic coverage is buried under mountains of bureaucracy and advertising agreements, in countries like Canada and England, the Olympics are broadcast on public television stations, the CBC and the BBC, respectively. You can find the CBC Olympic coverage here, and the BBC Olympic coverage here. The coverage, while free, is geo-blocked (per agreement with the Olympic committee, just like NBC’s U.S. coverage is) and only IP addresses originating from within the respective countries can access it. No Canadian IP? No CBC streaming. Your IP isn’t from within the United Kingdom? You’re out of luck watching content on the BBC. Fortunately for you, us, and everyone else who just wants to get some good wholesome (and free!) Olympic viewing in, it’s trivial to mask your identity on the internet and appear to be from another location. To achieve that end you’ll need to, in order of preference and effectiveness, use either a Virtual Private Network (VPN), a web browser proxy, or DNS masking service. You should fully expect to pay for a service that is reliable and fast enough to support continuous streaming of a foreign streaming source, however. But, you’ll pay a lot less than even a month of cable, so it’s still a great option. The important thing to understand is that the masking method, be it a VPN, proxy, or DNS service, has to be configured for any device you wish to use it on or at the router level to cover all the devices on your home network. If you and your wife, for example, wanted to watch your favorite Olympic coverage on your separate laptops, you could either configure each laptop to connect to the VPN service, or you could configure your home router to route all your home network traffic through the VPN. Keep that in mind as we discuss your options. It’s also worth noting that international broadcasters are constantly trying to stop users from bypassing their geoblocks, and it’s entirely possible for a solution that works one day to stop working the next. The most effective technique is to use a VPN provider to completely reroute your connection to another country. This technique is so effective because as far as the remote server is concerned, all the traffic to and from your connection is coming from the remote exit point. So if you’re in the U.S. and you want to watch live streaming on the BBC’s websites, you would need a VPN provider with an exit node somewhere in the UK. Selecting and setting up a VPN is beyond the scope of this article, but our favorite premium solution is StrongVPN (you can see other recommendations in our guide to selecting the best VPN). We don’t think the setup process for StrongVPN is too arduous, but if you’re put off by it, you can always use TunnelBear. They offer a free version, which is great for testing, but don’t expect the free 500MB they toss at you to last for very long if you’re streaming video—you’ll need to pay for one of their higher tiers. Really, though, any VPN with an exit node in the UK or Canada should work. Proxies are a massive mixed bag when it comes to quality. Not only is it difficult to find a good proxy in the first place (proxies have been largely replaced by VPNs at this point) but it’s difficult to find a good proxy that has an exit node where you need it and can handle the load of tons of streaming video. Further, you’re typically limited to using your web browser because streaming video apps aren’t going to support proxy use. From our experience using proxies to watch foreign Olympic coverage during the 2014 Winter Olympics, the quality of CBC/BBC streams through a proxy is on par with 2000-era RealPlayer content streamed over a 56k modem. In other words, entirely unwatchable unless you enjoy buffering every 5 seconds. That said: Proxmate, a premium proxy that only costs $2 a month (and offers a free 14 day trial) is pretty speedy and has handy extensions for Chrome, Firefox, and Opera. More importantly (and quite relevant to our goal as Olympic event watchers), Proxmate has tweaked their entire design and user experience specifically to be optimized for watching streaming sources from around the globe. You can check out their “Channels” listing to see all the global news services and TV channels you can easily tune into. The simplest solution is to pay for access to a DNS masking service. Our favorite is Unblockus. The biggest benefit of using Unblockus is that there is no overhead introduced. It’s simply changing your public facing identity. By contrast, VPN services introduce the additional overhead of encryption/decryption and will slow down your connection and, to a lesser degree, proxies will introduce a bit of lag too (albeit without the overhead of encryption). In light of the fact that we’re not trying to transfer sensitive files here, but just watch some streaming video, it makes sense to go with the fastest option. You can try it out for a week free and then after that it’s $5 a month. If you only need it for the Olympics, that means you’re only out $5 for the whole experience. If you live somewhere that you can’t stream Netflix, many YouTube videos, or other content, that $5 a month is your golden ticket to streaming nirvana. Setup is dead simple. You can set it up at the router level so every device in your house can enjoy masked-IP streaming or you can set it up at the device level so that only the device you’re using (e.g. your Roku box or tablet) uses the service. 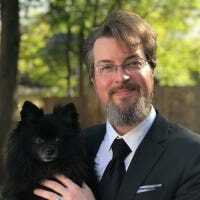 Regardless of how you opt to do it, the Unblockus help section has very clear and concise instructions for every operating system and device you likely have around. Starting a free trial is as simple as singing up with your email address and following their dead simple instructions. Once you have it connected and running, you can toggle (as seen in the screenshot below) the country you’re masquerading as a citizen of as simply as pulling down the drop down menu. Revisit the streaming service that previously locked you out and you’re in. 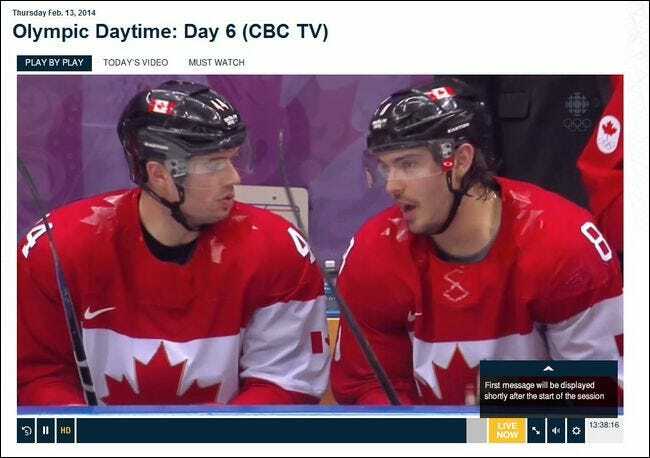 Here you can see an example from the 2014 Winter Olympics where we were catching some hockey streaming on, fittingly enough, the CBC website. Right there in your browser you can enjoy coverage from around the world (without so much as a plane ticket or passport stamp). As a final note, now that we’ve shown you how to get international coverage at home by using a VPN (or other IP shifting trick), you may want to kick that stream on your computer over to your television for more comfortable big screen viewing. If you have a device that supports casting, however, like the Chromecast or Roku stick, you could use fire up the stream in a desktop browser, then cast that to your TV. All you need is the Google Cast extension for Chrome. If you don’t have a Chromecast (or you’re having crummy luck with the quality of the Google Cast stream from your browser) you can go for the old school (but tried and true) method: hooking your computer up to your television. Although our guide to doing so it titled “How to Connect a Laptop to a Television“, the tricks therein will help you hook up a desktop computer to your TV too. Whether you just had plug your laptop into your TV or set up your router to masquerade as if it’s in Boise, Idaho, you can use our guide to get the Olympic coverage you want on the device you want it on.